The company "BELATRA" - for a healthy lifestyle! And when is to start it, if not in the summer, when everywhere we are surrounded by ripe fruit, fresh vegetables and beautiful greens! But if you do not want to go far to the market for behind it this useful harvest, we have a simple solution! We suggest you go to the best greengrocer in his wonderful vegetable shop in the game Green Grocery. Here It is full of juicy fruits, vegetables for every taste and a sea of greenery (and not only edible)! 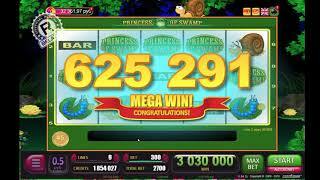 Here you will get not only a charge of positive emotions, but also chic winnings in bonuses. 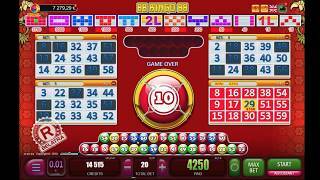 This video slot is a time-tested classic, which came from slot machines for terrestrial casinos into the virtual world of online games. 5 reels, 15 lines, bright graphics, funny characters and a variety of additional games in the form of bonuses, prize and risk games - the recipe this slot is, which is sure to please all players. And Green Grocery is exactly such a game! If you decide to play this slot machine BELATRA online for free without registration, then go to a special section of our site. 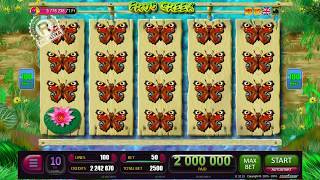 And for those who want to test their luck in real conditions and in slot machines to play for real money, this slot is available in many online casinos! Having got on a warehouse with vegetables, it is important to choose the right vegetables, which will then bring the greatest profit. Large vegetables take up a whole box. For example, a huge pumpkin will bring you 10 bonus games. In addition, in one of the boxes you can find the key to the fruit warehouse, and fruits are valued much more vegetables! The key you found will open a new warehouse and you will receive a huge win! But, of course, you should always remember that the mice will not miss the chance to get into your warehouse and try the freshest vegetables - any case do not open the box with a rodent, otherwise the bonus must be completed. However, if in the main game you played on the "anti-mouse" bet (it is indicated in the lower left corner of the playing field) - then you will be helped by a trained cat! The key found in the box opens a tightly locked warehouse. And here you just need to click on one of the buttons on the transporter and get a huge bag of fruit. The amount of the win depends on the player's total bet. If during the bonus in the box there will be bonus games, then they will start immediately after the bonus is completed. Rotations of drums occur without your participation. Free games are played at the same bet as the main game. 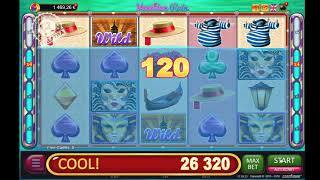 Popular and loved by many players, there are card risk-playing games in this slot! Card risk-classics is relevant at all times and allows you to duplicate the received winnings with one click on the button!